People over the age of 65 have a 70% chance of spending time in a long-term care center, assisted living, or nursing home. Married or partnered couples in this age group are also at a high risk for entering long-term care; however, both couples don’t always enter care facilities together. Sometimes, one spouse may enter long-term care while the other spouse is left on their own to manage things at home. Investigating long-term care insurance in an addition to your other insurance plans could be a good option for spouses wishing to add an extra layer of protection to their future. Generally, long-term care insurance covers medical costs associated with long-term care facilities and medications that are not typically covered by Medicare or Medicaid. 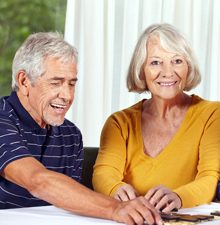 A common concern is that long-term care will exert a financial burden on married couples. In most states, however, Medicaid is the primary payer of nursing home care, helping to ease care costs. If you’re seeking options for long-term care, you’ll probably need to help you guide your way through the often-confusing world of insurance. 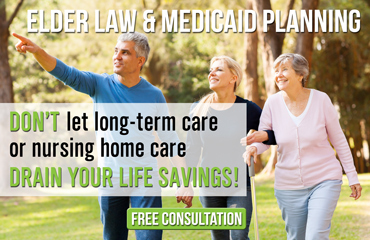 The Elder Law Firm PC provides Medicaid planning and long-term care insurance advice for Michigan residents. If you have a question regarding Medicare, Medicaid, or any of your other options for long-term care, please call us at (877) 933-7252. Residents in the Grand Rapids area can also attend a free seminar led by attorney The Elder Law Firm PC several times a month regarding Medicaid planning. Call to reserve your spot at this exciting and informative event.